Join Curator Anthony Elms on a public tour of ICA’s exhibition Cary Leibowitz: Museum Show. ICA’s Public Curator-Led Tours offer a unique opportunity to learn about our current exhibitions from the curators themselves. These tours cover the overarching themes and broader contexts of the exhibitions, highlight key works, and give insight into the curatorial process. Featuring new and never-before-seen works, Cary Leibowitz: Museum Show marks the first comprehensive survey and solo museum exhibition of Leibowitz’s work to date. Organized in close coordination with the artist, the exhibition brings together nearly 350 works that span the breadth of his career, featuring paintings, fabric works, multiples, installations, documentation, photography, and ephemera created between 1987 and the present day. 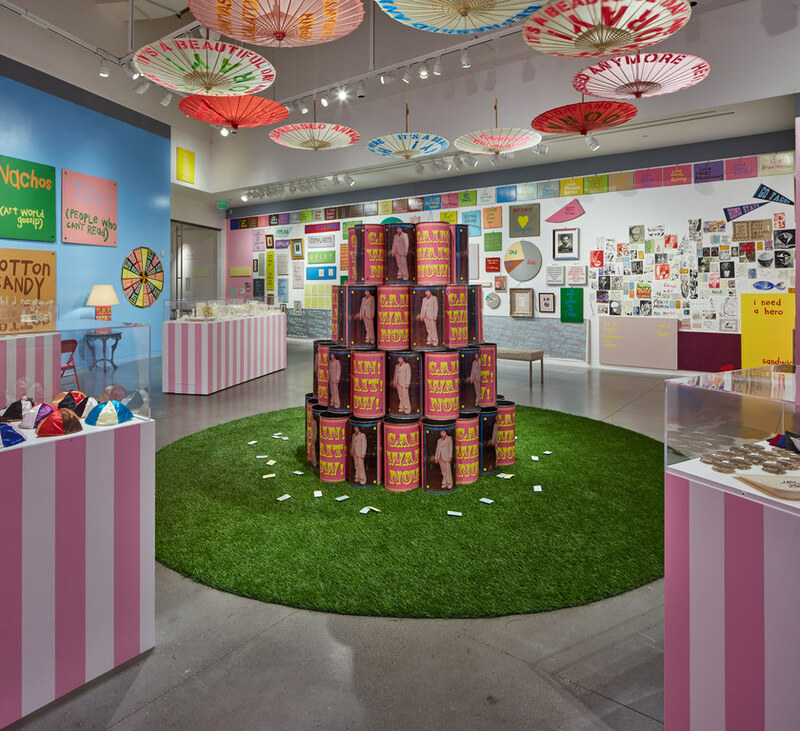 Cary Leibowitz: Museum Show is organized by The Contemporary Jewish Museum, San Francisco and is curated by former Associate Curator Anastasia James. Accompanied by a fully illustrated catalogue. Organized at ICA by Chief Curator Anthony Elms.